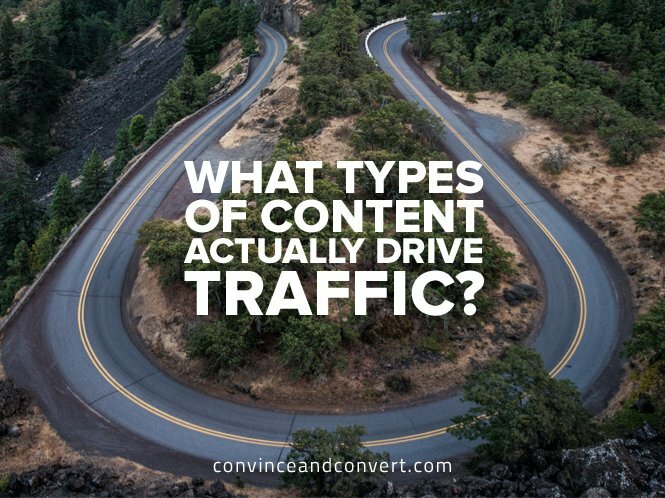 What Types of Content Actually Drive Traffic? 282, 516—that’s how many page views the Wishpond blog registered last month. Because the majority of our free trials and product upgrades come from our blog, that’s a number that’s had a significant impact on our bottom line. But getting to that number wasn’t as hard or impossible as you might think. In fact, after reading thousands of articles over the past five years, our team has come to realize that there are only six main content types that consistently drive readership and traffic. Let’s lift the veil of content marketing to reveal how easy it is to create a consistent, scalable stream of high-quality content. I’ll break down each one of the content types we create, why those content types work, and how you can start doing the same. List posts are the golden goose for content marketers, and for good reason: List posts are some of the most shareable and value-packed pieces of content that you can create in a pinch. The answer: They all start with a number, and they’re all list posts. List posts are a popular content type due to the fact that they’re clear in telling people what to expect (for example, “9 Instagram Tips and Tools for Marketers”). They also tell people how long they’ll need to commit (in this example, for “9” tips and tools). Of all of the different content types, they have the simplest structure and can be among the easiest to scan and read. None of these posts have to be long, either. Simply write a short introduction, list each point, and provide a short summary of each below. Do a quick recap in the conclusion, and you’re set! For an example of a successful list post, see Wishpond’s article 100 Growth Hacks Learned from 5 Years as a Startup. Writing how-to posts is a great way of establishing authority in your industry while walking readers through the steps required to utilize your product or solve one of their pain points. For example, one of our writers at Wishpond wrote How to Run a Successful Instagram Hashtag Contest, walking users though how to setup an Instagram contest using Wishpond. Take what you know, and put it into a simple how-to guide! You might be surprised how useful it is to someone else. Pro Tip: If your how-to guide walks users through a core component of your business that you want to rank highly for in search engines, consider keeping that link handy and linking back to it every time you mention those keywords. For example, we would link the text “how to market on instagram” every time we mention “how to run an Instagram contest” in order to increase that page’s SEO and drive more internal traffic to that page. Even if you don’t consider yourself an industry expert quite yet, that doesn’t mean that you can’t reach out to someone who is. Find experts in your industry and shoot them a quick email with questions you think might be useful to your audience. Don’t be afraid to shoot for the stars—influencers are still people, too. Most will take the time to respond if they sense that what you’re asking for is genuine and of value to their target audience. For example, I sent an email out to Mark Cuban asking him four marketing questions I thought our readers would like to know the answers to. The result? An awesome post featuring Mark Cuban on the Wishpond blog! Advice to other members of the community. Stance on a recent event. 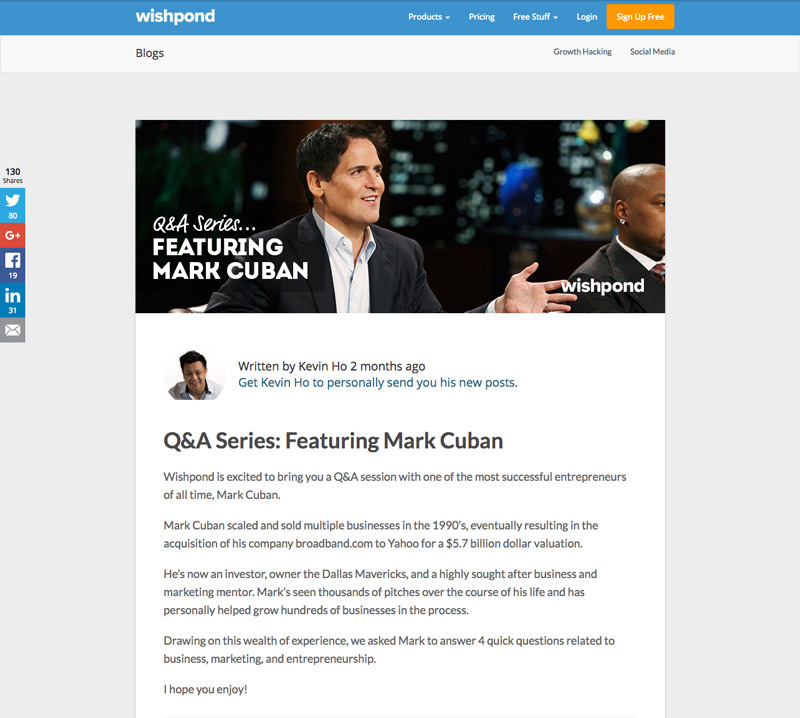 For more on Q&A posts, see Wishpond’s interview with Mark Cuban. People love hearing about the success of others, but not just for the sake of hearing about it. Marketers (in particular) love hearing about others’ success because it can often leave clues as to how they can achieve the same success. 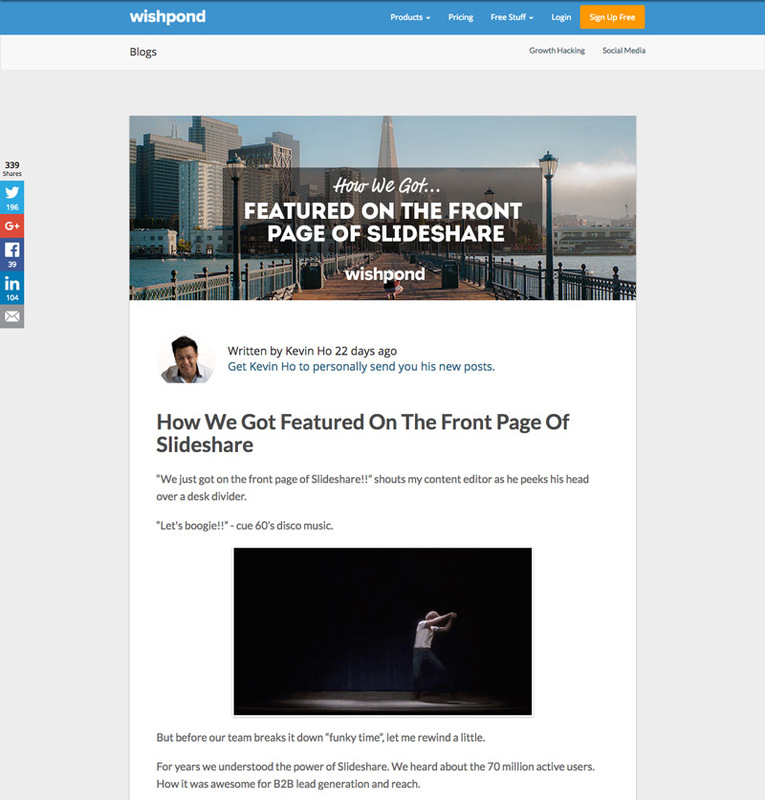 For example, I wrote a post called How We Got Featured on the Front Page of Slideshare, a step-by-step guide explaining exactly how we achieved that result. The post was very successful due to the fact that it was original content, was an interesting topic, and provided a top-to-bottom walkthrough of how readers can do the same. Any recent accomplishments within your team. The founding story of your business. Any results readers might want to imitate. Any mistakes you’ve made that others should avoid. The content you produce acts as a narrative for how your business is perceived by the world. It only makes sense, then, to pepper that narrative with feature releases, product developments, and company launches. Product and feature releases are also some of the easiest content to create. After all, who knows all the details of an upcoming release better than your team? Here’s an example of a product release that we did at Wishpond when we added a new countdown clock for landing pages. The article itself included a short video, description of the feature, and gave users the option to click through to start trying out the new countdown clock on a Wishpond landing page. 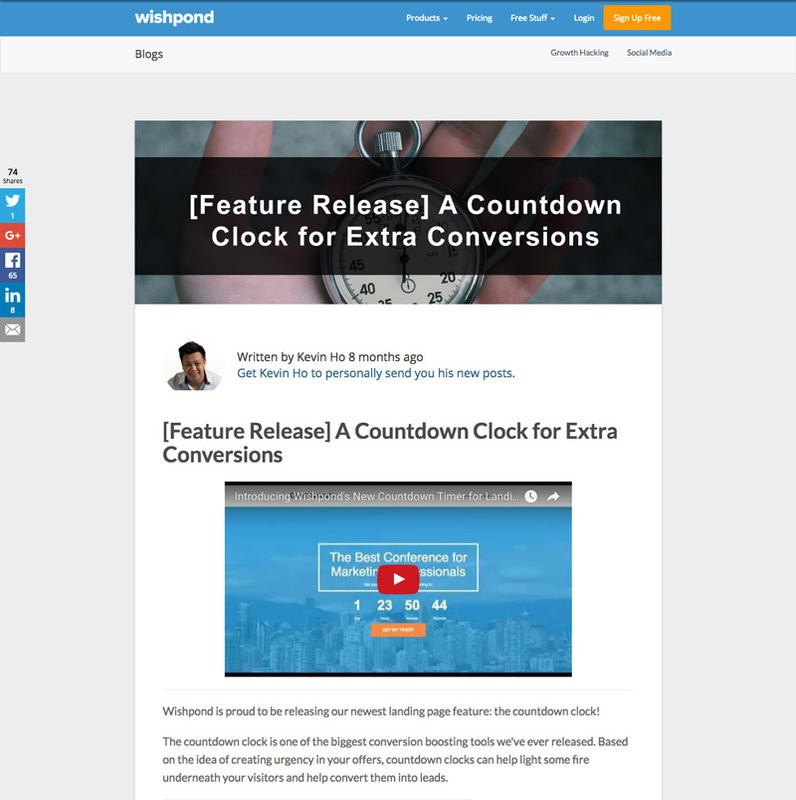 For this full article, see Feature Release: A Countdown Clock for Extra Conversions. 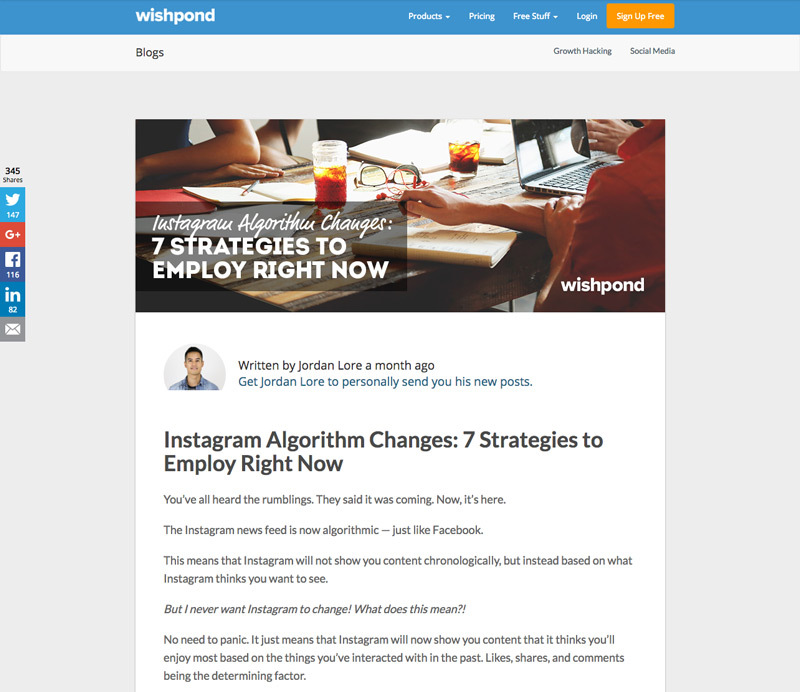 Here’s an example of an industry news article written on the Wishpond blog talking about new changes being made to Instagram’s algorithm. We explained what the algorithm change meant for marketers, and what they should be doing to make the most of it. Writing about a trending topic is one of the easiest ways to drive new traffic and tap into a new audience. Pro Tip: If you’re planning to write a lot of industry news articles, consider making your content visible within the Google News tab for increased exposure. For an example of an industry news article, see 7 Instagram Algorithm Changes: 7 Strategies to Employ Right Now. High-quality content is the root of any successful inbound marketing strategy. Content can help increase brand awareness, build authority, and develop a steady stream of SEO traffic that you’ll be able to enjoy for years. Creating that content is a lot easier than you might think. 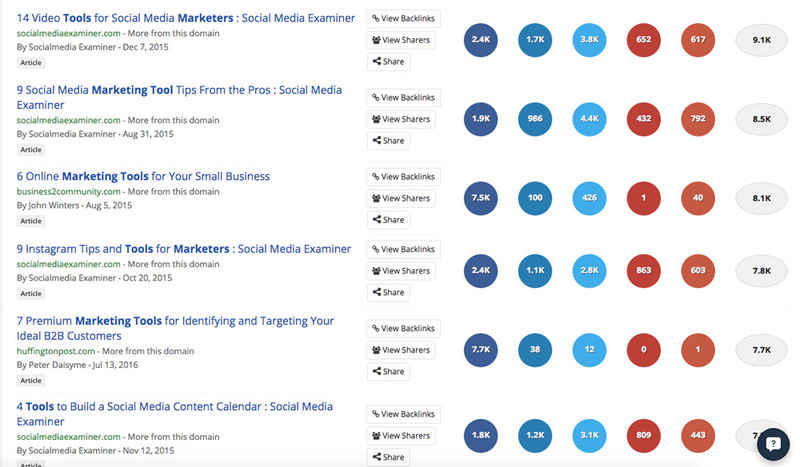 What types of content have you have the most success with? Do you use list posts? How about Q&As? I’d love to hear about your experiences in the comments below. Kevin is a Content Marketer at Wishpond focusing on lead generation, conversion rate optimization, and marketing automation. He is a regular contributor to Social Media Today and has contributed to The Social Media Hat and Social Media Examiner. Kevin has taught courses on Udemy and Wishpond Academy on all things marketing.